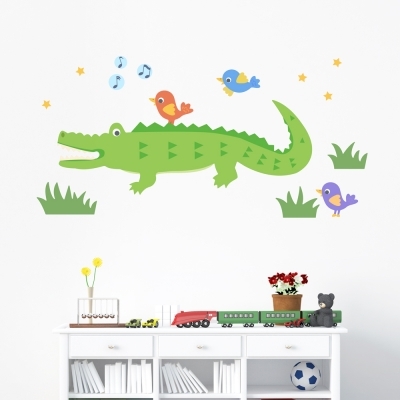 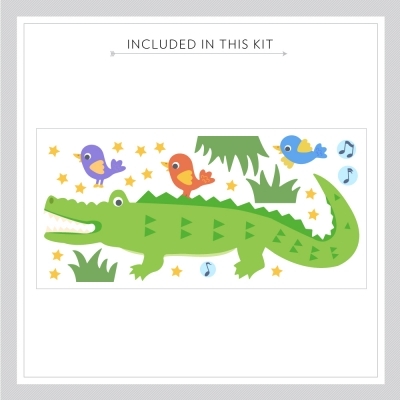 This nursery wall sticker features a playful alligator and singing birds. Great for playrooms, bedrooms, nurseries, and more! This alligator and friends wall decal is available in 2 sizes.